Recently we got into a philosophical discussion about what a rational mission-based HEMS structure would look like: as opposed to today's structure, which is partly market-based and partly based on struggles for market dominance. "Who pays and does it cost the same for each airframe or is it funded differently? Then the next question is about fees; or should it be a tax supported system. I will say that a tax-supported system is something that I distrust. It would eventually look like the VA running our medevac community which would be more flawed than what we have now." I envision IFR twins at the metro hospitals, VFR or limited-IFR singles distributed evenly across the area, and at least one tilt-rotor per larger state, based near the geographic center, ready to respond to pad or runway, and able to leap vast distances with a single fuel load. As much as I favor free markets and respect the benefits of competition, I feel that naked ambition, greed, and fear-driven marketing strategies lead to waste and inefficiency. "I believe that it is one of the Scandinavian countries that has provider bid on contracts for areas of operation. This seems like a pretty sound plan to me. I agree with Jonathan we do not want US HEMS to become the "VA" however If we set up a system where companies have to bid on contracts it enables some quality control and sensible deployment of resources. Unlike today where it is a free for all." 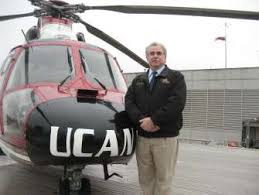 Sam Matta, Flight Nurse, Combat Veteran, Co-Founder East Coast Helicopter Organization (ECHO). The IFR twins, with their larger cabins, are better suited to transporting pediatric and neo-nate teams from the hospital to the kids, and then everyone back to definitive care. "Couldn't it work like other public service utilities? Or like the public/private partnerships the fire service employs in many locations? It seems that the pure open market we have now creates a competitive situation that is also bad for safety." Dr. Cathy Jaynes, Former director of research at The Center For Medical Transport Research. Former College Campus Chair at the University of Phoenix, Former Assistant Professor at The University of Colorado - Denver, Former Chief Flight Nurse at SkyMed. The IFR twins can move adults when the weather grounds the singles out in the countryside. The singles can move patients in good weather, and are less costly to operate. 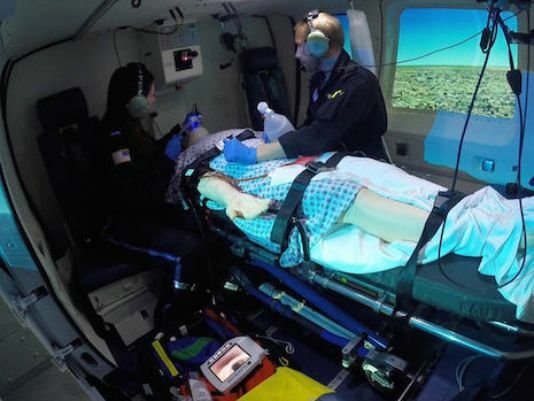 When Rocky Mountain Helicopters began to lose lucrative hospital contracts, they came up with the idea of the "Community Based" EMS helicopter, in which all staff work for the aviation provider. Thus was born LifeNet. This step got the helicopters away from the hospital, and put them out in the country where the patients are. Air Evac Lifeteam developed this model further, and experienced explosive growth. AEL provides rapid access to definitive care for millions of Americans. AEL looks for support from the communities they serve, and originated the idea of selling subscriptions. These subscriptions shield those transported from rapidly rising bills, now estimated to be in the range of $50,000 per flight. A subscriber is not liable for any costs beyond what his or her insurance company pays. HEMS is, today, largely a fair-weather resource. In the advent of low ceilings and visibility, the vast majority of EMS helicopters are grounded. This is a tremendous weakness in the HEMS system, and the technology exists to overcome it. Today. Tiered reimbursement, in which government payments would be adjusted to account for the costs of providing the transport, would help drive the industry towards - if not all-weather, at least adverse-weather capability. Instrument-flight-capable twin engine helicopters are much more expensive to operate, but beyond the increased safety and chance to capture more flight opportunities, there is no financial incentive to operate these more expensive machines. The ultimate capability to transport the ill and injured could be realized by use of a tilt-rotor. The tilt-rotor can operate around or above weather that will ground all the pure-helos. And it can best move patients interstate. "Once you fly on a tiltrotor you realize that it cannot be compared to any helicopter. Its a turboprop that hovers while the helicopter is a helicopter with its limitations. God bless the tiltrotor. ....it has its place in EMS" Skip Robinson, Helicopter Industry Observer, Photographer, Author. "Opportunities for Safety Improvement in Helicopter EMS" project. people like Dr. Blumen, we have hope for a bright future for HEMS. 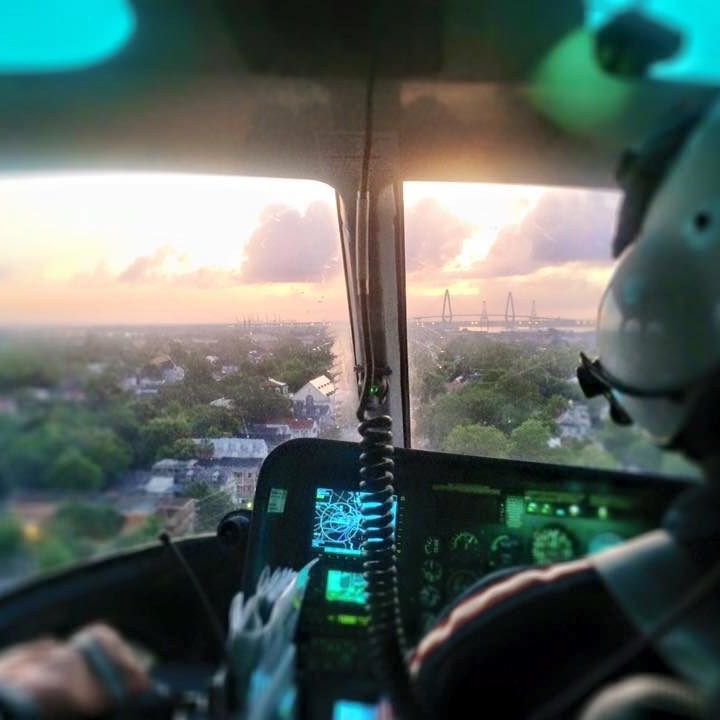 As Congress, the General Accounting Office, and the states come to grips with the issues facing HEMS and the health-care system; an understanding of where we are, how we got here, and where we might go in the future of HEMS will be key to sound decisions. "(All this) sounds better than the race to the bottom we are in now but me thinks you're a dreamer." 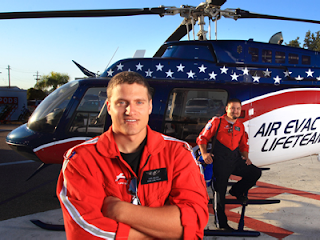 Tim Lilley, Pilot, 10 year HEMS veteran, MSM.